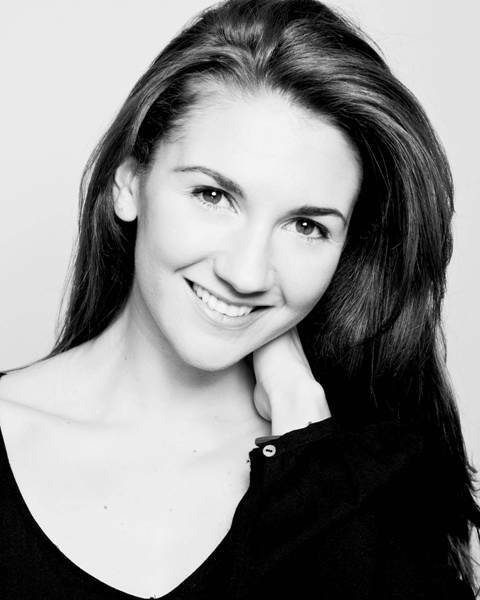 At the time of the interview, Summer Strallen was starring as Dale Tremont alongside Tom Chambers as Jerry Travers in the world exclusive of Top Hat the musical at the Aldwych Theatre, booking until January 2013. Coming from a family that has performing arts at its heart, Summer has continued to carry on this love of musical theatre. Since making her professional stage debut in Cats, she has gone on to perform in Guys and Dolls, Meg Giry in Love Never Dies, Maria in The Sound of Music and now Dale Tremont in Top Hat. Summer recently took some time out from her busy schedule to answer a few questions about herself and her career, I hope you enjoy what she had to say. You were born in London. What was it like growing up in the capital? Growing up in London has been an asset when working in this profession. As a child, my mother would drive us around London, and so I soon became familiar with the roads and public transport routes which is really important when travelling to and from auditions, rehearsals etc. Your parents Sandy Strallen and Cherida Langford, and three sisters are all stage performers, what is it like being in such a ‘drama-influenced’ family? It is a really good thing as it has kept me grounded. In an industry like this it is important to be down to earth. We get swept up in the same dramas as any family experience. It is also great being able to call my family for advice. You trained at The Arts Educational Schools London with your three sisters and also for one year at Laine Theatre Arts. How did your training prepare you for the professional world on stage? They were fantastic drama schools and taught me wonderful skills and discipline, but the best training for me was working in the profession. You only truly understand the realities of working in the industry when you get working. Can you share some memories from your professional stage debut? Pure joy! At the age of 16 I was cast in Cats, which was an amazing opportunity as I always wanted to be in the business. I don’t have any specific memories of the show. You never remember, but you never forget! You have performed in numerous West End shows, which roles have you enjoyed the most? Top Hat is wonderful, as I get to sing the songs of Irving Berlin every night. However I think my favourite was Guys and Dolls, in which I played the Havana Girl and performed with Ewan McGregor. It was incredible to work with the Donmar Warehouse and with director Michael Grandage. You played the role of Meg Giry in Love Never Dies, the sequel to Phantom of the Opera, for which you received your third Olivier Award Nomination. Can you describe your time in Love Never Dies? The word I would use is challenging. To perform such a mixed up character like Meg, pushed me very far as an actress. The production experienced lots of changes and we were constantly rehearsing. Despite this if the production was to return I would love to be a part of it again. You joined the cast of television’s Hollyoaks as the character Summer Shaw who auditioned for the role of Maria in The Sound of Music, a role which you subsequently gained in reality with Andrew Lloyd Webber’s London production. What was it like appearing in a national TV soap like Hollyoaks? It was so much fun being based in Liverpool. I met my good friend Loui Batley on the show. I learnt a lot about working with a camera which stood me in good stead for Land Girls. You are currently appearing as Dale Tremont in Top Hat at the Aldwych Theatre. Can you tell us about your character and how you have worked to put your ‘stamp’ on the role? I am loving it! The show has a combination of brilliant music and a funny script. Dale is a deep character who goes through a very confusing time. She is deeply upset when it is revealed the love of her life Jerry Travers is married to her friend. I chose to approach the part of Dale as an actor rather than imitating Ginger Rogers. I wanted to explore who Dale was. Ginger Rogers has always been my idol, but I wanted to use Ginger as inspiration rather than imitation. Which is your favourite Irving Berlin song in the show? ‘Let’s Face the Music’ and ‘Cheek to cheek’ are classics. ‘Better luck next time’ is a beautiful song, but it has not received the same recognition as it was not released like the other songs were. It’s great that it’s been brought back by this production. Based on the 1935 film of the same name, why do you think Top Hat has stood the test of time and is still a fabulous show to watch? The brilliant combination of the music score and the love story. People always associate with love, whether it be love for a person, a job, or a pet! Everybody loves a comedy too. Laughter is the best medicine. As a result the show has the perfect ingredients for a hit. When the film was released in 1935 there was a depression and people needed a lift like this. I think the same rings true for today. As a family, how do you feel when you get the chance to watch each other perform on stage? Very proud!! We give each other a lot of support. We have such different personalities and casting. It is particularly exciting when we watch each other shows we enjoyed growing up such as Mary Poppins and Top Hat. I remember the first time I saw Scarlett fly in Mary Poppins! Was there ever a second career choice if you hadn’t become an actress? When I was four I wanted to be a vet. Now if I changed career I would do something with animals, but I would not find it as fulfilling. Unless perhaps I could sing to the animals! Dinner with friends or my partner. I particularly enjoy spending Sunday evenings watching a film, enjoying banoffee pie with my partner. Many thanks Summer for the interview and best wishes for continued success with Top Hat!